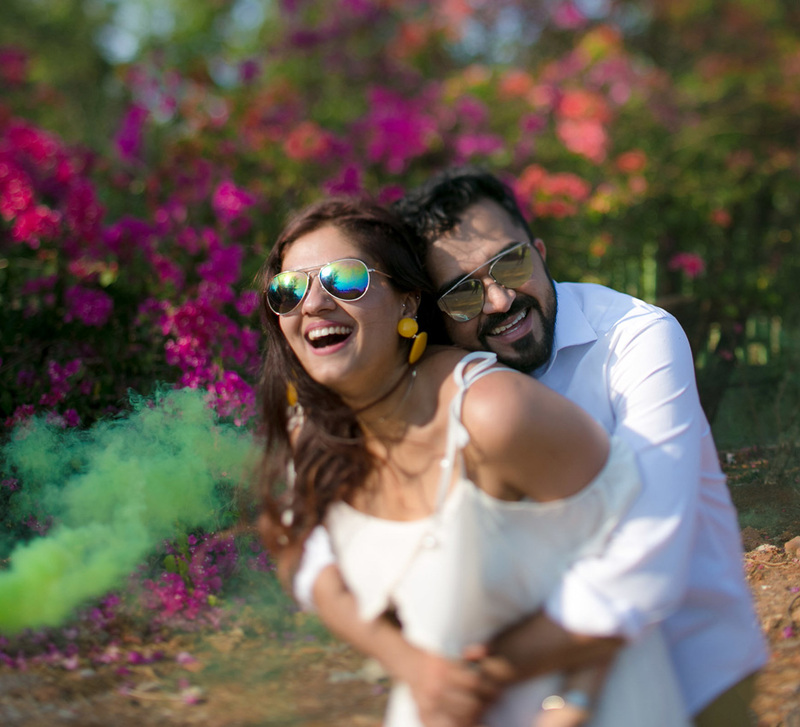 The calm backwaters of Kumarakom in Kerala came alive with color, music and revelry as Nishi and Ruhil's intimate wedding celebrations unfolded in stages at a lush resort there. Nishi and Ruhil wanted the cosy charm of an intimate wedding which only their nearest and dearest would attend. 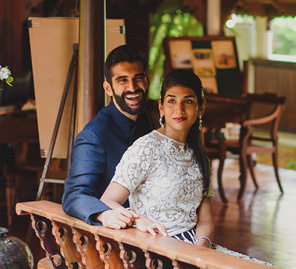 Their well-planned nuptials took place in the beautiful backwaters of Kerala and saw a fusion of cultures. The moments and emotions of the wedding were captured by WeddingSutra Favorite - Preach Art. Bride Nishi shares some highlights with us. "Ruhil and I are quintessential high school lovebirds who grew up together, fell in love and eventually got married. Now that I look back, I realize that we have come a long way!" "When it came to choosing a location, we brainstormed thoroughly and visited just about every corner of the world mentally! Finally, we zeroed in on Kumarakom in Kerala for our wedding which is close to Kochi. Since Kochi is also Ruhil’s hometown, it just made the whole affair a little more special." "We wanted to have a small wedding with only the people dearest to us in attendance instead of a large-scale extravaganza with 1,500 people, and we were blessed to have just that! Our wedding was photographed by Preach Art who were amazing to work with. They also presented a video that showcased the highlights of our wedding at the reception which was appreciated by all." "Possibly the most high-energy function that we had, the sangeet was where all of our friends and family got together to put up some stunning performances. Ruhil and I gave a speech at this event and also danced together. We dedicated our joint performances to our families. 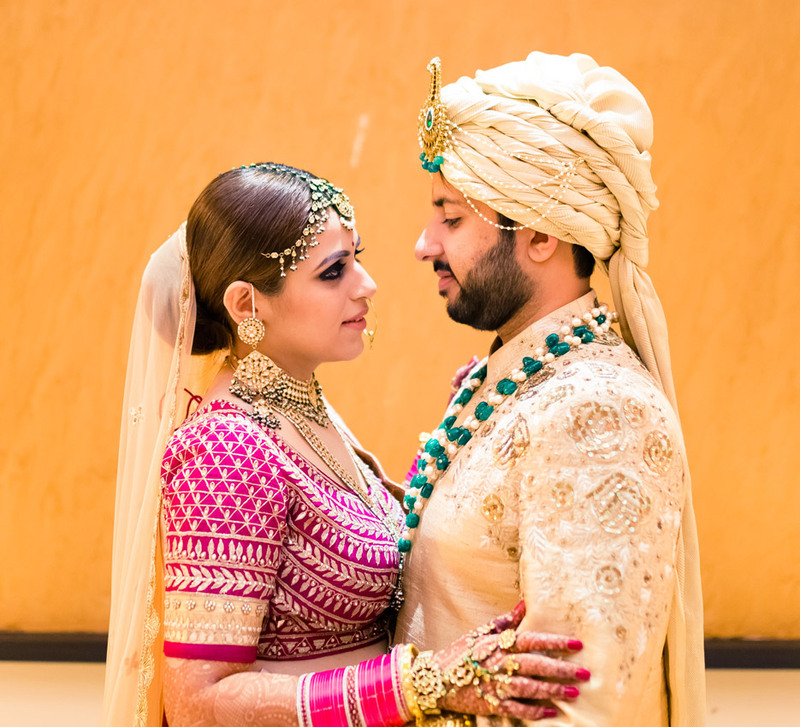 For this event, I wore a green lehenga by Jay Makhija which had some striking 3D details, and Ruhil opted for a black sherwani from Shyamal & Bhumika." "Since our wedding was taking place in Kerala, we were keen on having an event with a South Indian theme, and this ceremony provided the perfect opportunity to do so! All the boys dressed up in crisp white lungis, and the girls wore South Indian-style sarees. This was a rather fun-filled function, and everyone had a blast smothering us with haldi! Staying true to the theme, I wore a white bridal lehenga by Jay Makhija, and Ruhil chose a pink shirt which he paired with a lungi." "The best way to beat the heat and make the most of sunny days is by throwing an exhilarating pool party! We did not have any particular theme for this event. Nonetheless, everyone enjoyed themselves thoroughly playing water games and making lots of noise." "We had our wedding ceremony at the hotel’s amphitheater, and the setup was just perfect! The tiered seating meant that all our guests could see everything that was happening clearly. The venue was simply breathtaking, and we were surrounded by the people who we loved the most. I wanted to wear red for this function since no other color can make you look or feel more bridal and fell in love with the lehenga that I saw at JADE by Monica and Karishma. 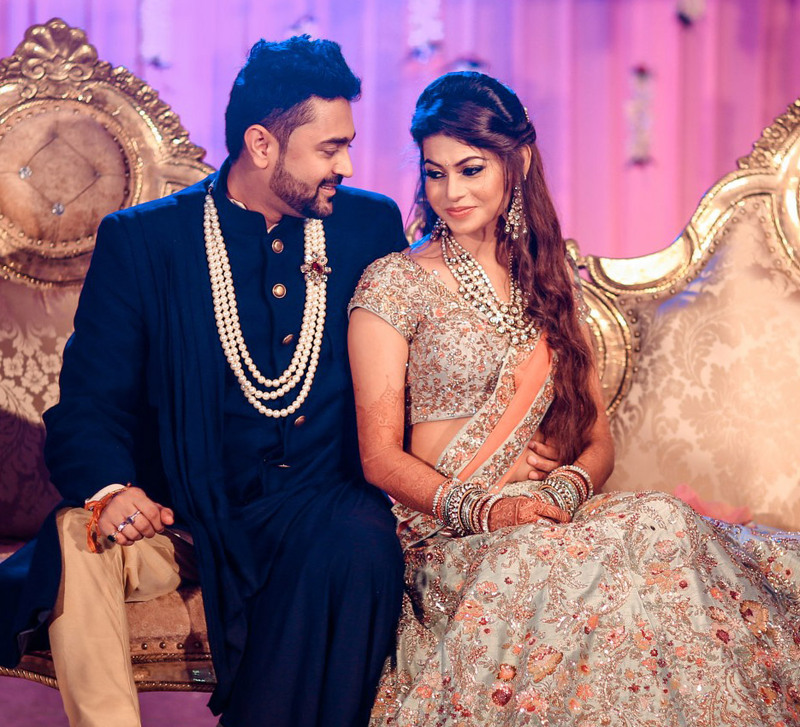 Ruhil was handsome in a light pink sherwani by Shyamal & Bhumika." "For this function, we wanted to create a very relaxed vibe so that all our guests were at ease and could spend time interacting with each other. We invited a guitarist who sang romantic songs as he strummed along. Ruhil and I had our first dance with him serenading us. After dinner, all our guests joined us on the dance floor."